How many of you are Monty Python lovers? Even if you aren't, this project will tickle your funny bone. I just returned from Stampaway in Cincinnati, Ohio, where I had the pleasure of working in the Technique Junkies Booth with Pat Huntoon. A very sweet lady had mentioned that there were no samples of a particular stamp and she would love to see it used. Look no more, my friend. 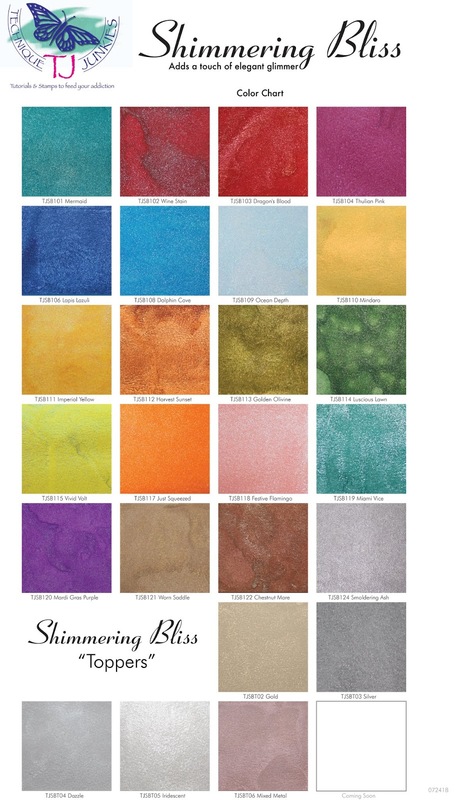 I present Silly Walks (SS037), a set of 13 stamps from Technique Junkies! Granted, the front of the card is a tad plain. The real surprise is inside. 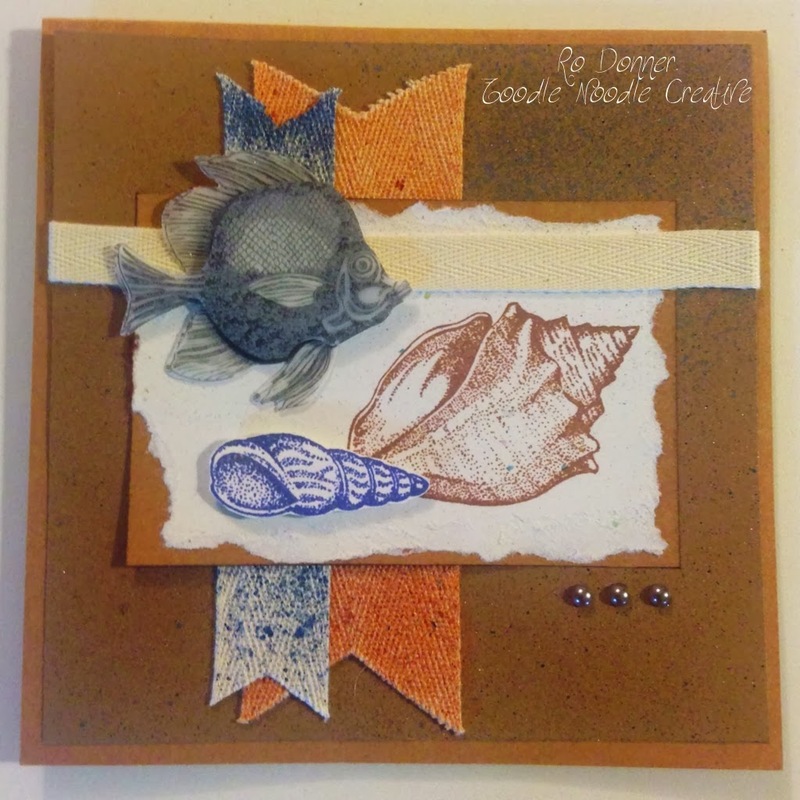 I used my new-to-me Karen Burniston die set called Twist Panel Pop-Up (#1009) that I purchased while at Stampaway. Click on the video below to see the pop-up in action! Too fun! I love action cards! 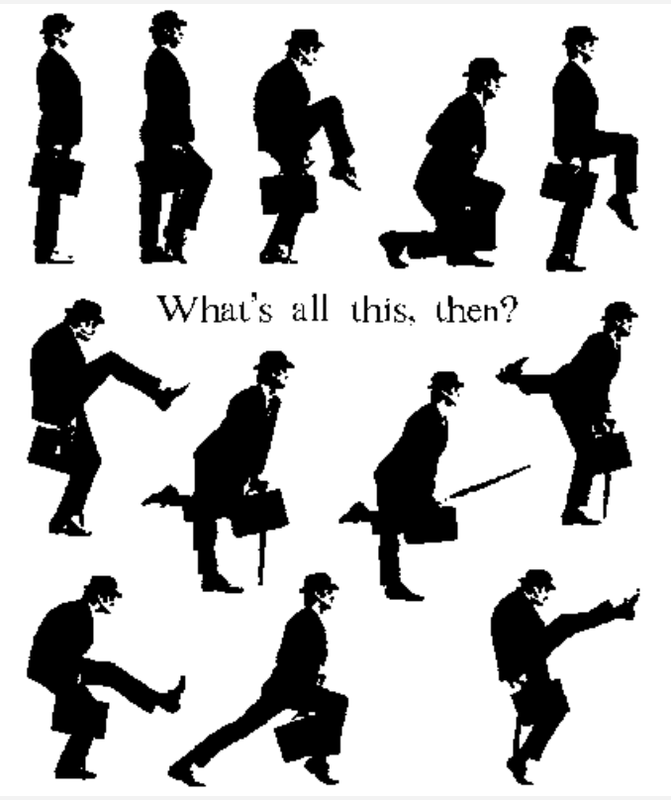 And the Silly Walks stamp set is just perfect for this card! Here are a couple of still shots of the inside of the card. As I mentioned, there are 13 stamps in this set. Check out that walking style! I have to admit, I rewatched this skit on YouTube and it made me chuckle, even after all these years. If you want to watch it, too, I have linked it HERE. The little hat used on the card was from another Technique Junkies stamp set called Hats Off to Dad (SD792). The sentiments on the front and top inside were generated from my label maker. 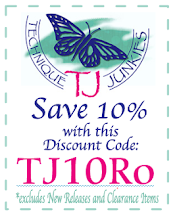 If you want to get your Monty Python on, you can save 10% at Technique Junkies on any of the stamps I've used here (and any others that tickle your fancy) by using the code below. Hope I brought a chuckle to your day. 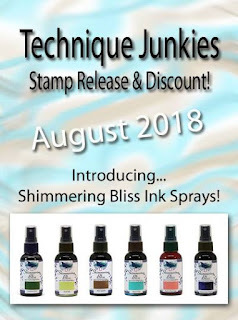 New Stamp Release and a Brand New Product from Technique Junkies! If you have arrived from Janelle's Blog, you are in the right place. If not, you may want to start at THE BEGINNING so you don't miss any of the wonderful projects being shared today! 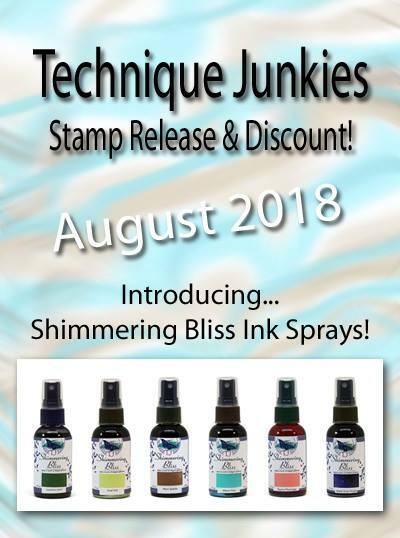 AUGUST SPECIAL: All new stamps being released are on sale until August 8th!!! Save 15% on your new release order. You don't need a code...it will be automatically added at checkout. Also, for any other product you may want to add to your card, INCLUDING SHIMMERING BLISS, you can save 10% by adding the code TJ10Ro. What a sweet deal! Let's get started! It's a little lengthy, but I have so many goodies to share with you! And I have something a little different today. My very first ever product demonstration video! How about some Shimmering Bliss?! Now that you've seen how cool those sprays are, don't you just want to get every one?! I know my next order is going to include those sprays! I want every color! 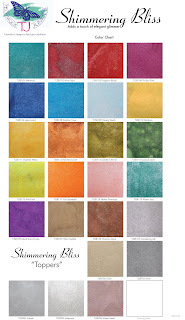 Speaking of every color, here is a little chart of the colors currently available...so yummy! And now, here are my projects! I have listed all the supplies used for each card along with links to products available for purchase at Technique Junkies. First up you will see the cards that were featured in the video. And now for the rest of the projects! Your next stop along the way is the very creative Judy Jackson. And don't forget about the great discounts!